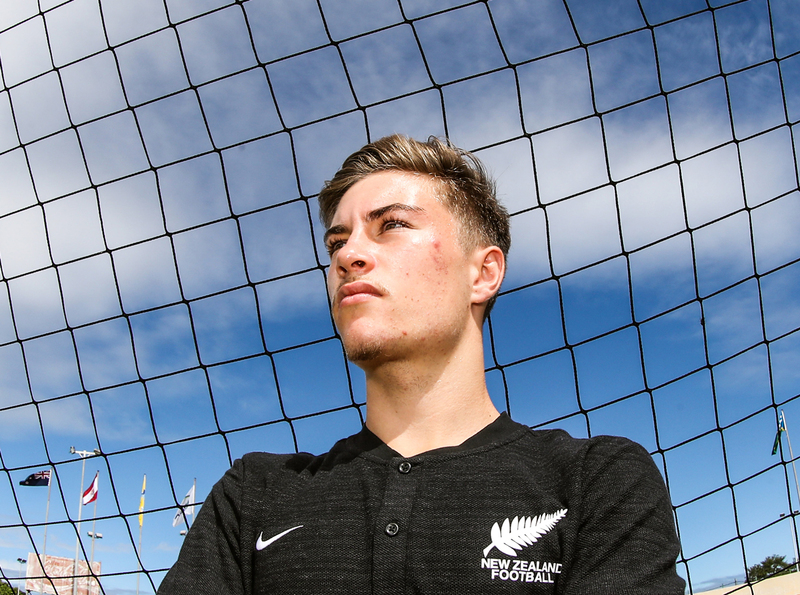 New Zealand U-19 midfielder Olivier Whyte great desire is to break into European professional football leagues. Currently playing for the Wellington Phoenix reserve side, Whyte has been dreaming of becoming a professional player since he was a 15-year-old. “Obviously in the future everyone wants to become a pro but I guess my goal is to crack on and hopefully playing in one of Europe’s top eight leagues would be my aspiration,” the determined midfielder insisted. The 18-year-old has been a key member of the junior All Whites impressive run at the OFC U-19 Championship in Tahiti so far. Whyte came on in the second half to grab one of three New Zealand hat-tricks in the 14-0 win over Tonga in Group A on Tuesday. The young lad netted twice in the first two minutes of the second half and went on to compete his hat-trick with another goal in the final minute of normal time. Whyte said it has been a great experience to be part of this New Zealand side at the OFC U-19 Championship. “I mean we had two games so far and the boys played really well through both,” he said. Whyte gave credit to his team mates for their overall contribution toward his individual performance and stressed his most memorable moment was the hat-trick against Tonga. “Obviously my aim was just to go out there and make an impact coming on as a sub, I did that, two goals early on, and full credit to the boys for giving the ball in those positions and for allowing me to score,” he added. “I probably would say the hat-trick coming off the bench was my highlight so far of the tournament, my first New Zealand hat-trick so it was a proud moment for me”. Whyte was part of the New Zealand U-17 who qualified for the 2017 FIFA U-17 World Cup after winning the OFC U-17 Championship, also held in Tahiti. He is adamant the current group will repeat the feat and return to the World stage for a second time. “I mean it’s always an honour to represent your country especially on the world stage. It is always a dream for the boys and I’m sure everyone will want to do the same for this circle,” he stated. Whyte and co. will look to end their group stage on a high heading into the final match with Papua New Guinea.